When I was four, even a little trip across the border to Malaysia made me wide-eyed. It was thrilling when the scenery changed drastically from Singapore’s urban landscape, to rows and rows of rubber trees with little tin-cups stuck in their sides to collect the milky sap that drizzled out of the trees. We hardly took any photos then, as film was expensive, but yet the images are fondly lodged in my memory. As I grew older, and explored lands further off, I also tended to research more before any trip. It was partly the excitement and I wanted to know all about the place and what not to miss. In the 90’s I relied on guidebooks like the Lonely Planet series. In the millennium there were so many more guidebooks to choose from, and the DK series with its unrivalled array of photos and pictorial maps became my new favourite. These were easily available from the library now. In the past ten years, information has become even easier and cheaper to come by. Decades on, approaching 40, I can’t help burying my head in the bottomless source of knowledge that is the internet. Official guides, forums like Tripadvisor, and information from the ordinary travel bloggers like myself. Part of the experience sharing is selfish, as it’s a kind of reliving and permanently storing the memories, while fresh, of the wonderful vacation we took. So has travel lost its mystique? 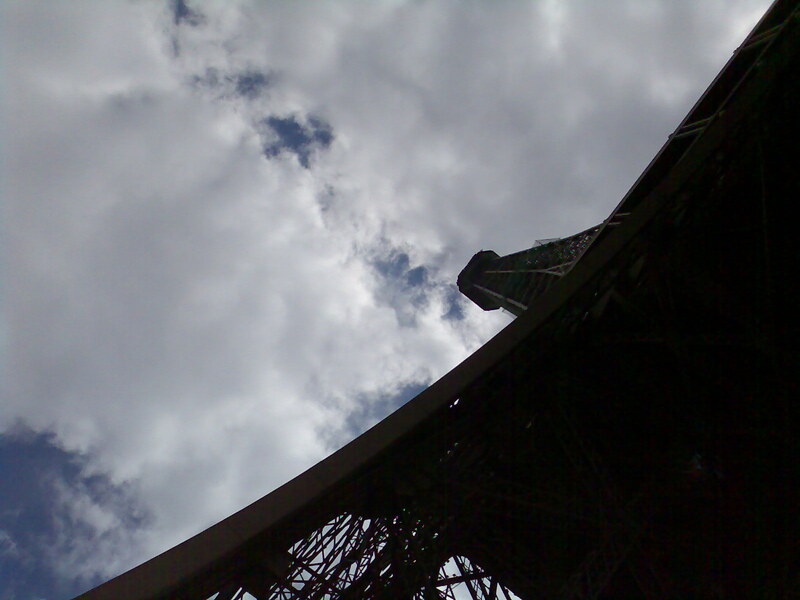 I encountered the Eiffel Tower through countless pictures and images of it in the movies, guidebooks and blogs. The Eiffel at every possible angle. But seeing the grand dame in person was still magical for me. Maybe this example is better. I’ve seen a thousand pictures of Kevin Bacon in magazines and in the movies, but when someone at Central Park shrieked, “That’s Kevin Bacon” and I saw him in the flesh in all his beauty (he’s remarkably boyish looking at 49 and looked like none other than he could do a remake of Footloose), it was still a surreal experience. The same with the Eiffel. I could not believe that I was there in the flesh next to this magical thing which was in our collective subconscience. Well to some extent, seeing the Eiffel today is not as great has coming across it unexpectedly. It was expected. But what I discovered is – there will always be the unexpected. For instance, in Osaka I saw the requisite symbols of the place, the castle, the Gilico Man and the Giant Mechanical Crab, but those array of sweet pink bicycles whizzing by or nonchalantly parked in front of stores took me completely by surprise. No guidebook I read before my trip, talked about the bicycles. 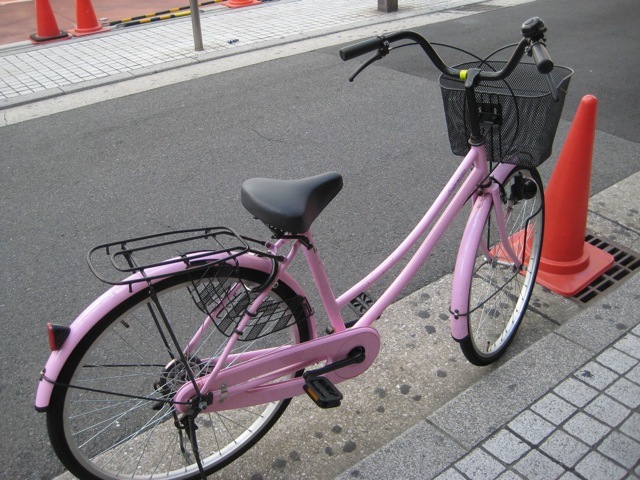 Someone out there may read about my pink bicycle story before they travel to Osaka, but you know what? I am sure they will discover something unexpected, something even more amazing than the pink bicycles. Maybe they are from a country where pink bicycles are commonplace. That’s why travel and reading travel stories will always be a joy. As I recall Theroux relating in his travel books, each journey is a unique encounter, from a unique perspective. You may take the same route or journey to the same places, but no two encounters are alike. This entry was posted in Travel and tagged beautiful, blogging, celeb, Celebrities, celebs, Central Park, childhood, culture, Eiffel, happiness, information, internet, joy, Kevin Bacon, Life, Living, Mystery, Mystique, New York, Nostalgia, Osaka, Paris, personal, photography, photos, Singapore, travel, writing. Bookmark the permalink. 6 Responses to Has Travel Lost Its Mystique? Do We Blame The Internet? I only ever read travel guides/books AFTER I’ve been to a place. I’m not that super interested on finding out that much about a place before I’ve been there, and I read the stuff after because I want to see if my experience tallies with anyone else’s! How was NZ for you in terms of your experience and what the guidebooks say? Just curious. I didn’t really properly read that many guidebooks on NZ although I did flip through the Lonely Planet a lot when I went on the South Island road trips. That was mostly to get ideas of things to do and places to eat and stay, though! Generally for me NZ is just an amazing place to BE, guidebooks or no. There’s nothing to compare that feeling of the wind on your face (or completely bowling you over!) and just the sense having so much SPACE! I think it’s one of the top 3 things I miss the most about not living in NZ… Once you get that space so many other things work out: you feel less stressed, you breathe better, etc. etc.